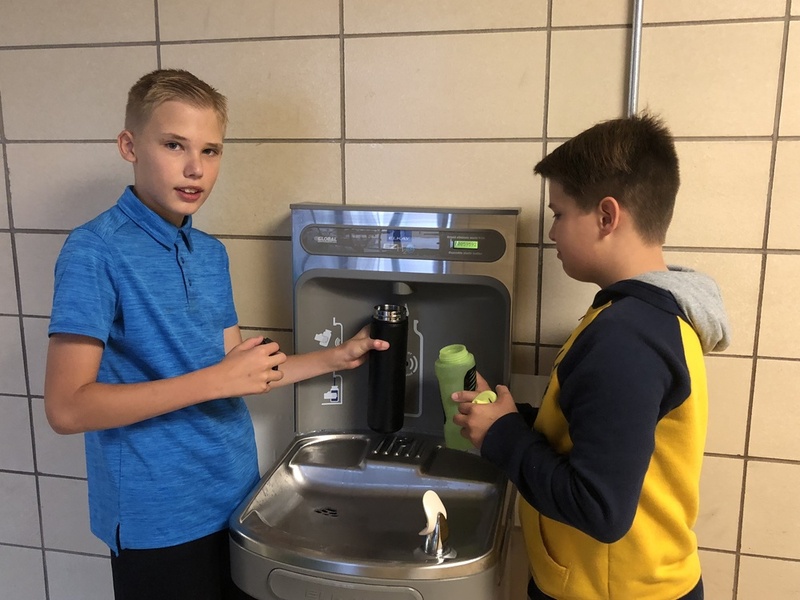 Thanks to a grant from the Northeast Colorado Health Department, students in Holyoke can now fill their water bottles at the Hydration Stations located in both Holyoke school buildings. Research shows that brains and bodies function better if they are properly hydrated, so drinking plenty of water will be beneficial to the students and athletes in Holyoke. A huge shout-out of appreciation the Health Department for the Water Bottle Refill Stations and to Dusty McConnell for installing the systems.